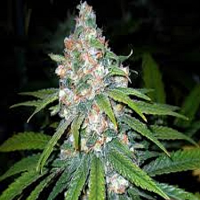 Lady Sativa Genetics Seeds Lady Sativa Genetics is a Collective of growers from the U.K that are now based in Amsterdam Netherlands. LSG has many years of knowledgeable and experienced breeders including Jah Hoover - a well-known U.K grower from UK who has been crossing his favourite strains and documenting them online for many years. After so much demand for his seeds, he decided to make up a collective of Elite growers from the U.K who is passionate about cannabis as much he is. Although LSG is a new seed company their roots run deep and they have been perfecting their strains for release to connoisseur cannabis growers around the globe. In 2013 Lady Sativa Genetics entered the 26th Cannabis Cup in Amsterdam for the 1st time ever with London City Diesel in the Indica category and Aphasia haze in Sativa and with our Knightsbridge OG they took 3rd prize Indica.